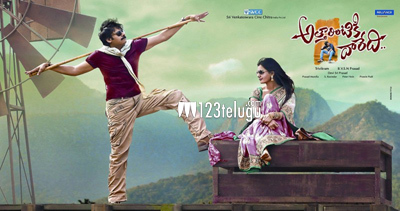 When will Pawan Kalyan fans get their treat? Every new Pawan Kalyan film is like a treat for his fans and movie lovers. The hype and hysteria surrounding a Pawan Kalyan release is quite infectious. Many people have been waiting anxiously for the release of ‘Atharintiki Dharedhi’, but there is no clarity on the release date yet. A few days ago, some distributors expected a release on August 21st. But that seems very unlikely now, given the political atmosphere in the state. A September release seems to be the most viable option right now, but a release in the last week of August cannot be ruled out completely. The makers are ready to release the movie as soon as the political unrest stops. Pawan Kalyan and Samantha will be seen as the lead pair in this Trivikram film. BVSN Prasad is the producer. The film is carrying a superb buzz in the market, so let us hope that a consensus emerges soon over this issue.